From the nineteenth to the mid-twentieth century, St. George Street developed as a prestigious tree-lined avenue flanked by brownstone mansions set uniformly behind lawns, stone walls, and iron fences. In the 1940s grass verges and mature trees were removed and it was widened to four lanes, becoming a major traffic artery. 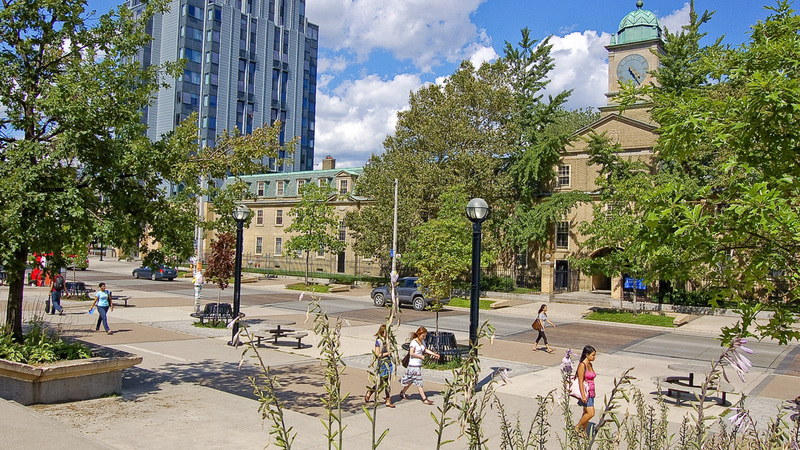 Beginning in the 1960s, the University of Toronto, expanding from the east, acquired and razed several residential properties along the street, between Bloor Street West and College Street, eventually replacing many with institutional buildings. 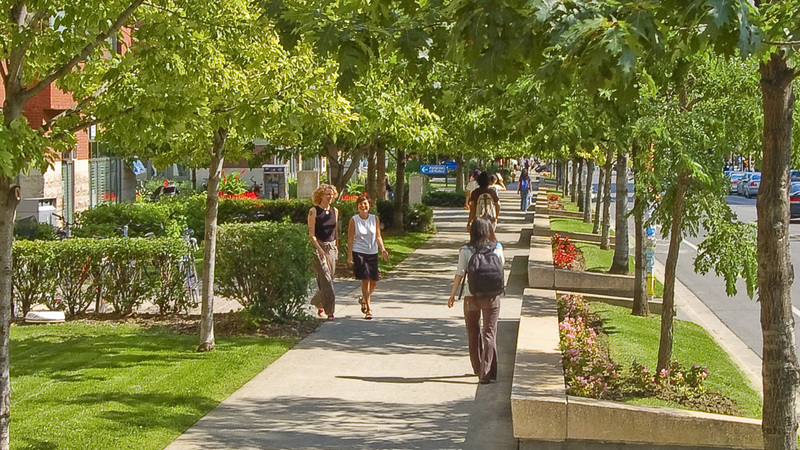 St. George Street thus became the primary north/south vehicular route traversing the university, as well as a physical and symbolic barrier dividing the campus, its historic landscaped grounds on the east from urban in-fill on the west. 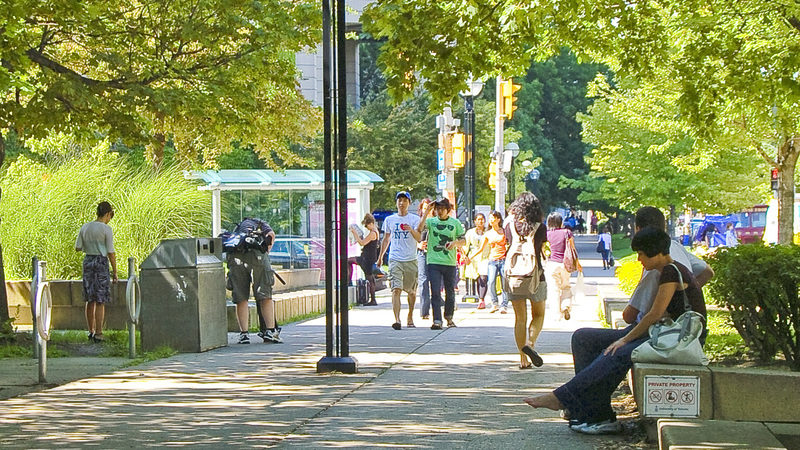 In the late 1990s, the architectural firms of Brown + Storey and van Nostrand Hanson Di Castri, and Corban and Goode Landscape Architecture and Urbanism, redesigned its one-kilometer stretch, aiming to unify the bisected campus and create a pedestrian-friendly avenue. 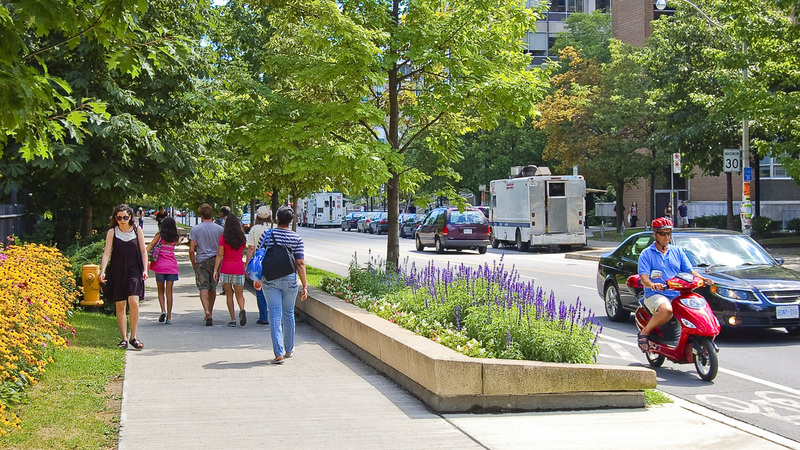 The number and width of vehicular lanes was reduced and bicycle lanes added, as well as grass verges bordered by seating and generous sidewalks. A continuous double allée lines the eastern side of the street, while a single row of trees was planted along the west. Wide bands of square pavers prominently mark several crosswalks, which link with east/west through-routes, courtyards, and popular destinations. 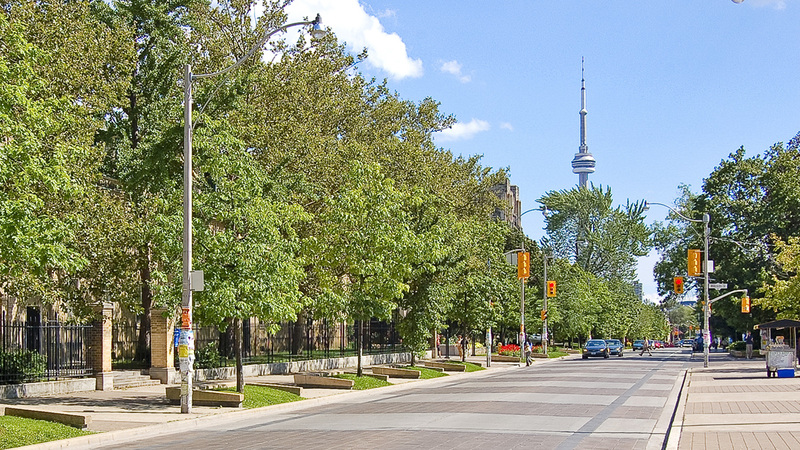 Particularly significant was the creation of a large public plaza incorporating a length of the street at Sidney Smith Hall, with seating, light fixtures, and trees placed in alternating squares of tinted concrete adjacent to the street.